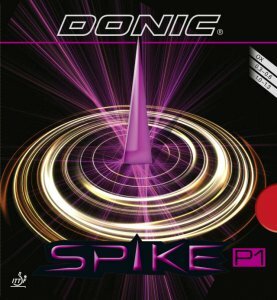 DONIC Spike P1 is a classic defensive pimpled rubber designed for the ambitious, technically advanced defender. The ribbed pimpled top surface makes possible a vast array of variations of play and extreme backspin. Even when a thinner sponge is used, the defender has the ability to vary the degree of spin up to maximum rotation. This rubber has been developed in close association with WANG XI, one of the best German Bundesliga players for many years.